Home / movie review / review / The Princess Bride / The Princess Bride Review. Ahoy there me hearties! Today is International Talk like a Pirate Day, and to celebrate I am reviewing the Princess Bride for Hamlette's Piratical Blogathon over on Hamlette's Soliloquy, so go check it out. For more of my pirate posts, please check out the links at the end of the review. The Princess Bride, the cult classic fantasy comedy about the adventures of a Wesley trying to save the Princess Buttercup, and along the way he meets some interesting characters. When watching the film for the first time, I was very skeptical about the movie due to its name, which sounds like a "chick flick." However after reading some more reviews I finally decided to watch it, and it certainly lived up the cult following. Plot: 8.6/10- Despite taking 10 to 15 minutes to find its groove, once the characters of characters Inigo Montoya and Fezzik are on screen the movie really picks the pace. Using the narrative device of a story within a story, the Princess Bride is a satire of the fantasy in general, and it most definitely succeeds. While some plot elements are clichéd, the clichés are intentional to produce some very clever humor. Characterization: 8.0/10- The Princess Bride is full of fun and quirky characters, and since the film is a satire of sorts, there is not necessarily much development, but at the same time, development is not really necessary. Princess Buttercup is a clichéd “damsel in distress” for most of the movie, yet that is not a bad thing, being that the entire movie is a satire. Westley is a fun character in the typical “Prince Charming” role. However, it is Inigo Montoya and Fezzik who steal the show with some of the best comedic parts of the film. Action: 7.8/10- Even though many of the action sequences are played for laughs, one sword fight is both cleverly humorous and well choreographed. It is actually one of the most memorable duels in cinema history, despite the extremely lighthearted tone. Acting: 8.2/10- The performances from the cast are mostly very strong and humorous with most of the cast being able to sell the utter ridiculousness of everything. Mandy Patinkin as Inigo Montoya is easily the best the cast, while Wallace Shawn is a lot of fun in his lesser role. Billy Crystal make a hilarious cameo during the movie as well. Special effects: 7.0/10- Most of the effects are dated with many of them being intentionally cheap for comedic affect. Soundtrack: 7.6/10- The soundtrack is not great to listen to on its own; it is mostly used to punctuate sound effects for comical effect. 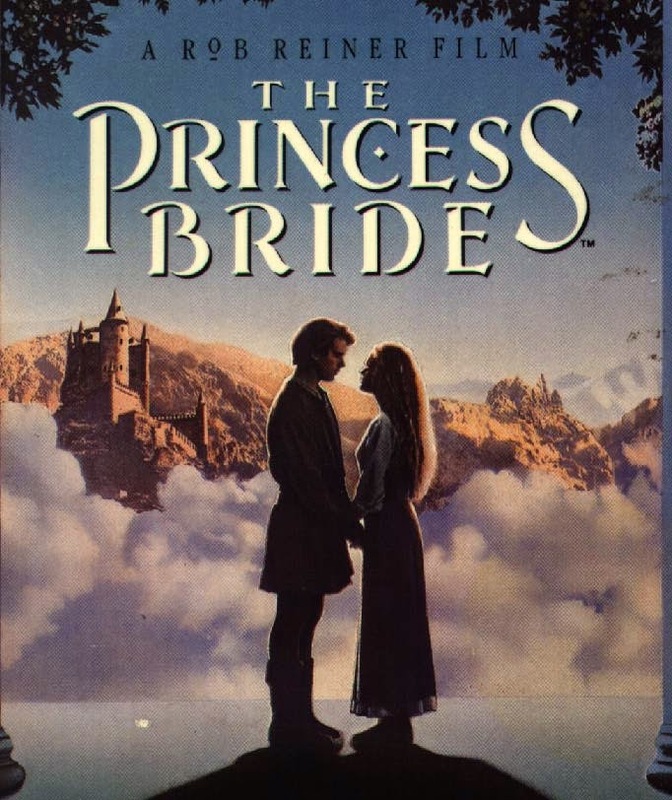 Humor: 8.7/10- While not constantly hilarious, the Princess Bride is a very clever satire and comedy. The movie is able to ride the fine line between corny and cleverly satirical well, with only a few scenes crossing the line. Unlike Mel Brooks’ movies, where the parody goes too far into stupidity, the parody in the Princess Bride is not overly ridiculous most of the time. It is also entirely aware of how absurd and silly it is which works to its advantage. However, at times, the movie is a little too corny for its own good delving into not funny. Entertainment Value: 8.5/10- The Princess Bride is a fun movie. There are plenty of laughs and the quotes are completely unforgettable. Overall: 8.6/10- From the clever comedy to quirky characters, The Princess Bride is a fun storybook like movie that is just generally entertaining to watch, and it is fun for the whole family (for the most part anyway). Closing comments: As with most “cult classics,” The Princess Bride will surely not appeal to everyone, and while this is not my absolute favorite movie, it is one of my favorites, and one of the best fantasy flicks of the pre-Lord of the Rings era. If you want to contact us or have any question please send an e-mail to johnstarslayer@gmail.com.